Prehistoric puppets. 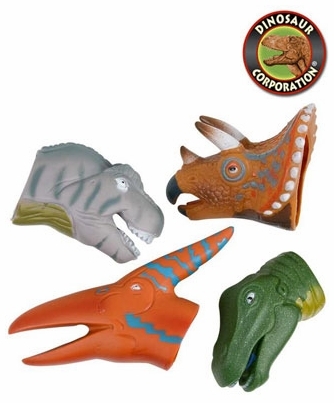 This collection of finger puppets features a variety of dinosaurs. Each dozen in poly bag with printed header.